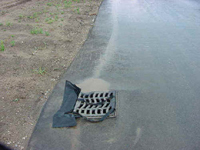 Catch basin inserts such as silt sacks or dandy bags are used to filter sediment from construction site runoff and prevent sediment from entering the storm drain system. The use of filter fabric under catch basin grates is not recommended because filter fabric plugs easily and requires a high level of maintenance. A dewatering bag should be used when ground or surface water must be removed from a site to facilitate construction activities. It allows for the filtering of pumped site water and dissipates energy at the outlet. 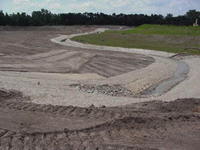 Uncontrolled pumping of site water can cause erosion and sedimentation in the receiving channel. 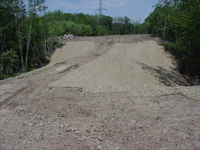 Erosion control blanket protects seeded areas, slopes and drainage channels from erosion. 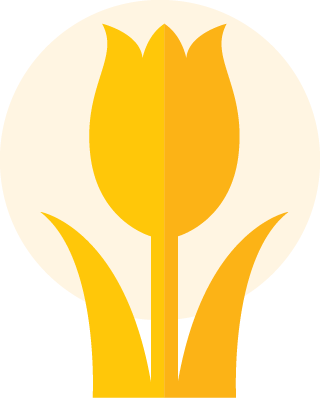 It retains soil moisture allowing seed germination during dry conditions. 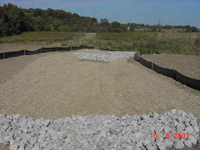 Blanket must be installed properly in order to provide the maximum protection against erosion. 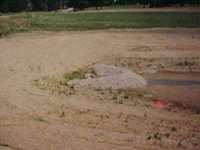 Grade control structures can be installed in drainage channels to reduce velocity. 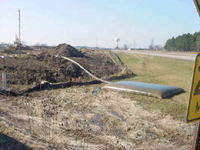 They minimize velocity caused erosion and allow for the ponding of water behind structure. 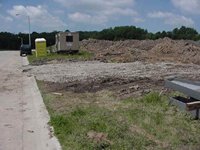 An inlet filter should be constructed around storm drain and/or culvert inlets to provide a temporary barrier to construction site runoff. 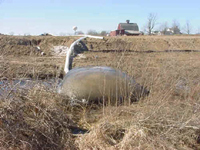 The ponding of water behind the inlet allows sediment to settle out of runoff. 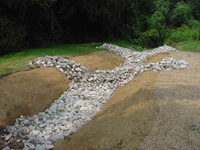 Rock check dams should be constructed in flow corridors to reduce velocity until permanent stabilization is achieved and in existing drainage channels to prevent velocity caused erosion. 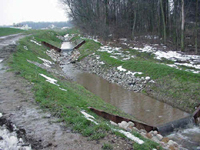 Check dams reduce surface flow velocities and act as a temporary containment structures to capture sediment. 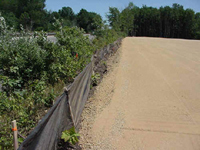 Silt fence is used to prevent sediment in site runoff water from leaving the site. 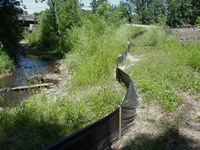 Silt fence should be used adjacent to critical areas such as streams, lakes and wetlands. In order to function properly, silt fence must be trenched in a minimum of six inches below the soil and installed parallel to a contour. 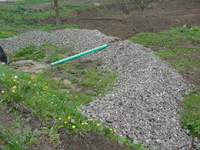 The installation of a slotted riser pipe surrounded by 1-2 inch washed stone on a storm water pond outlet provides for a controlled release of runoff. 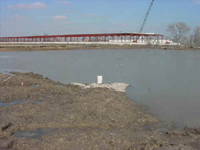 It creates ponding of site runoff which allows larger soil particles to settle at the bottom of pond. 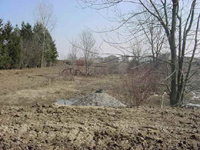 The uncontrolled release of construction site runoff can cause erosion and sedimentation off-site onto neighboring property and in water courses. 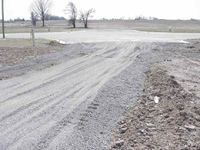 Placement of 75-100 feet of stone or crushed concrete placed at site entrance/exit minimizes tracking of soils onto adjacent roadways and the need for sweeping of roadway. 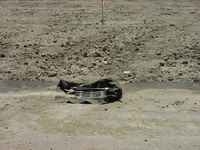 Uncontrolled tracking can cause sedimentation of storm drains and can create a public safety hazard.